The beloved Perry Como is celebrated in a new retrospective of his biggest hits and finest performances spanning the 1940s through 1970s. Join hosts Peter Marshall and Nick Clooney to enjoy Perry Como’s hit songs from long-lost and restored episodes of his 1950s-1980s TV shows. Carol Burnett, Regis Philbin, Jay Leno and others offer tributes. 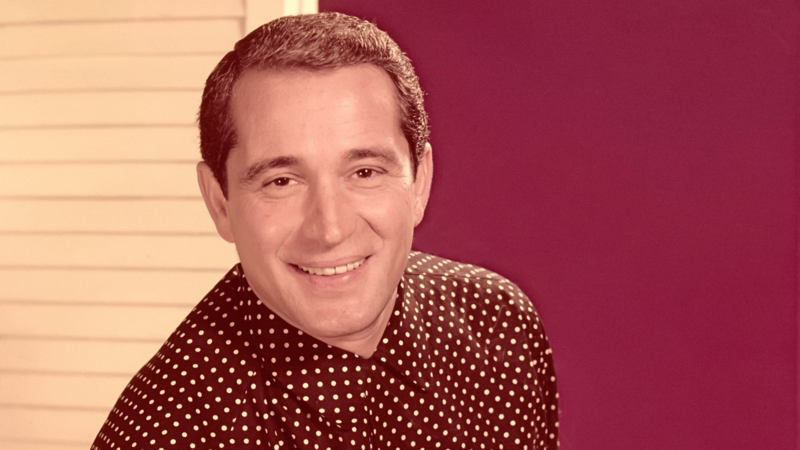 Hit records such as “It’s Impossible,” “Catch A Falling Star,” “Some Enchanted Evening,” “Hot Diggity” and dozens more made Perry Como the second most popular male singer of the 20th century on the record charts, ahead of Tony Bennett and Frank Sinatra and just behind Bing Crosby. Como was a television staple for over 40 years, beginning with his hosting duties in the late 1940s on “The Chesterfield Supper Club” through the early 1990s in series and specials that set the standard for variety programming, winning numerous Emmy Awards and other accolades while drawing devoted viewers around the globe.